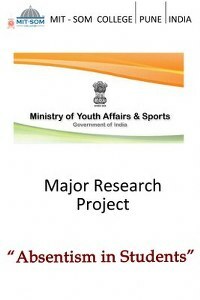 MITSOM College has started its very own research centre, Centre for Research and Human Development [C.R.H.D.]. 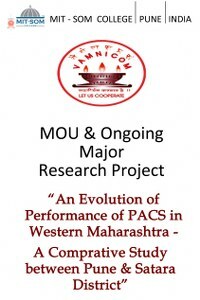 The most important aim of the Research Centre is to encourage and motivate the faculty and students to inculcate the ‘investigative’ mindset so that they can reap the benefits of research and exploration. MITSOM College has three faculty researchers with Ph.D qualification and two statisticians for analyzing the data and adequate number of equipment, necessary for research. The primary endeavour of the Research Centre is to share the results of research with the community for common good. C.R.H.D has initiated ten research projects, relating to several areas such as Education, Economy, Banking, Market Research, Infrastructure and Technology, Business Ethics and Ecology. 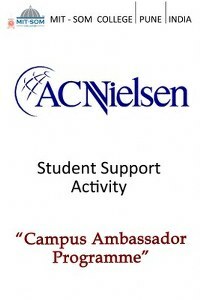 It was founded with the primary objective of creating research awareness amongst the faculty and students. CRHD promotes emerging research opportunities in various areas. MITSOM College assures the availability of any infrastructure necessary to aid research, while adhering to all regulatory requirements. CRHD is also home to two initial in-house publications, namely, ‘Avani’ and ‘Business Explorer’. The ambitions and activities of CRHD are driven by learning, research, scholarship and catering to human good. CRHD aims to maximize the benefits of research by advancing fundamental knowledge and contributing to better public policy, economic prosperity, social cohesion, human development and improving the quality of life. The mission of CRHD is to encourage and support research, scholarship and creative activities at MITSOM College. CRHD strives to encourage and motivate the faculty and students of MITSOM College to instill the spirit of research and innovation in their souls. CRHD is committed towards sharing the results of research with the community for common good. CRHD assists in the recruitment of research-intensive faculty, provision of necessary infrastructure for sponsored research, and assurance that all research is conducted responsibly. CRHD is committed towards forging solid and lasting relationships with other esteemed institutes, universities, organizations, and public and private partnerships in order to enhance the wellbeing of society. The primary mission of CRHD is to facilitate research and discovery at the cutting edge of Education, Economy, Banking, Market Research, Infrastructure and Technology, Business Ethics and Ecology to address societal needs. 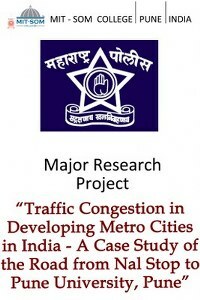 The vision of CRHD is to provide strategic direction to the research activities undertaken at MITSOM College. It strives to provide the highest quality of research needed to realize the full potential of brilliance at MITSOM College. CRHD strives to make MITSOM College the premier hub of leading research movement in the areas of discoveries, publications, mentoring and training, and in the translation of research into societal benefits. The people at CRHD envision a dynamic, innovative, and diversified environment that will promote and support the research and resourceful scholarship activities of faculty, staff, and students. CRHD strives to provide a solid and supportive research infrastructure that will maximize the effectiveness of funds generated and attract talented researchers to the institute. CRHD gives primary assurance that all the research is conducted with the highest level of ethics, integrity and dignity. CRHD is committed towards focusing on social and industry related research. More specifically, social research examines a society’s attitudes, assumptions, beliefs, trends, stratifications and rules. 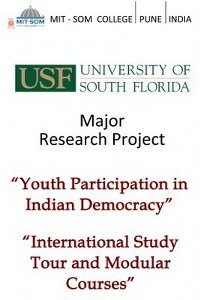 The scope of social research can be small or large, ranging from the self or a single individual to spanning an entire race or country. 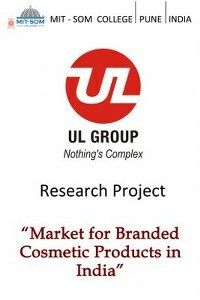 CRHD also concentrates on industry research. 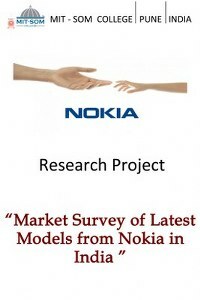 Industry research refers to the planned research or critical investigation aimed at the acquisition of new knowledge and skills for developing new products, processes or services or for bringing about a significant improvement in existing products, processes or services. MITSOM College undertakes a number of activities that motivate and encourage the College to respond to special requests for collaborations, and to face new challenges to contribute to the research field. 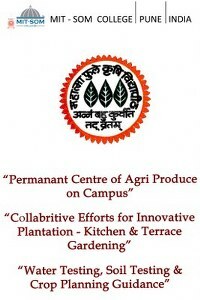 MITSOM College engages in various research related activities such as invitations to outside speakers for participation in special events, conferences, seminars, workshops, bringing out research publications, hosting and participating in research competitions, dissemination of research conducted by CRHD and faculty members etc. Following is the list of existing and proposed collaborations of CRHD with other esteemed organizations for the purposes of research and consultancy. Panacea BPO Services Pvt. Ltd. 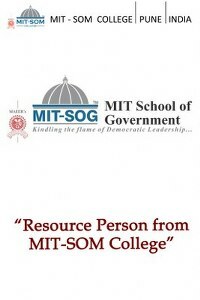 The faculty members at MITSOM College generate knowledge through progressive research in varied areas such as Education, Economy, Banking, Market Research, Infrastructure and Technology, Business Ethics and Ecology which would benefit public and private sector companies, and the society in general. The knowledge generated by MITSOM College faculty has appeared in various materials and in-house publications, namely, ‘Avani’ and ‘Business Explorer’. Many text books and working papers are written by the faculty on a regular basis.MITSOM College has always worked hard to become the nucleus of innovative activity and the faculty members collaborate with the industry and academic institutions from all over the world. CRHD has been advancing research via expert statistical analysis. The statistical analysts at CRHD are trained to help researchers design experiments, analyze and plot data, run statistical software, interpret the results generated, and communicate statistical concepts to non-statisticians. The library occupies a place of pride at MITSOM College. It acts as an essential constituent of CRHD’s research and human development program. The library houses a rich collection of text and reference books, journals, magazines, audio/videos, CD-ROMs, research reports, online databases and data analysis software, etc. The library enables scholarship and the advancement of knowledge, promotes discovery, research and learning. The principal aim of the library at MITSOM College is to aid in the creation of knowledge through acquirement, organization and distribution of knowledge resources. MITSOM College provides its state-of-the-art computing resources to CRHD for the purpose of research. The MITSOM College campus has IT enabled infrastructure comprising of computer labs and internet facilities. 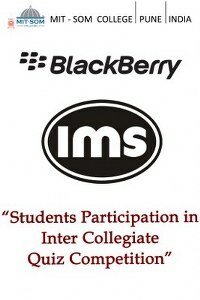 MITSOM College technology initiatives are clearly focused on research. It provides students with effective and adequate infrastructure to learn and grow. MITSOM College is graced with high speed internet connectivity, modern classrooms, resourceful library, auditoriums fitted with the latest audio visual facilities etc. The first step in obtaining research funding is to identify appropriate sponsors and opportunities. Although there is no comprehensive source providing detailed funding information, there are a number of websites that serve as helpful resources. Funding from corporations and foundations is obtained through ongoing relationships with sponsors that support research endeavours across the intellectual spectrum. CRHD is deeply committed to the advancement, dissemination and preservation of knowledge and also to the advancement and protection of public interest and welfare. 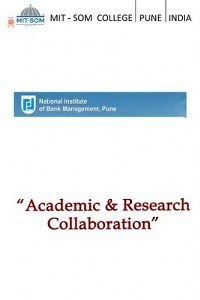 Inter-connected Stock Exchange of India Ltd.
"Resources for Economists on the Internet"
Resource : Prof. Dr. Harshada Joshi. 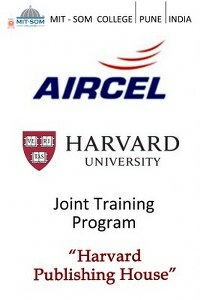 Particular : Workshop on "Health & Wellness"